The 2013 Super Six Competition for the Nigeria Women Football League (NWFL) will not hold due to lack of funds, the league’s secretary, Isaac Ajisafe, said on Monday. Ajisafe in Abuja said that the competition would be replaced with a ceremonial match between the top clubs in the league’s two groups. The competition normally involves the three top clubs from the two groups of the league and is organised annually by the NWFL. The competition, which is used to round up the women league season, helps in determining the league winners, and it also marks the end of the women football season. 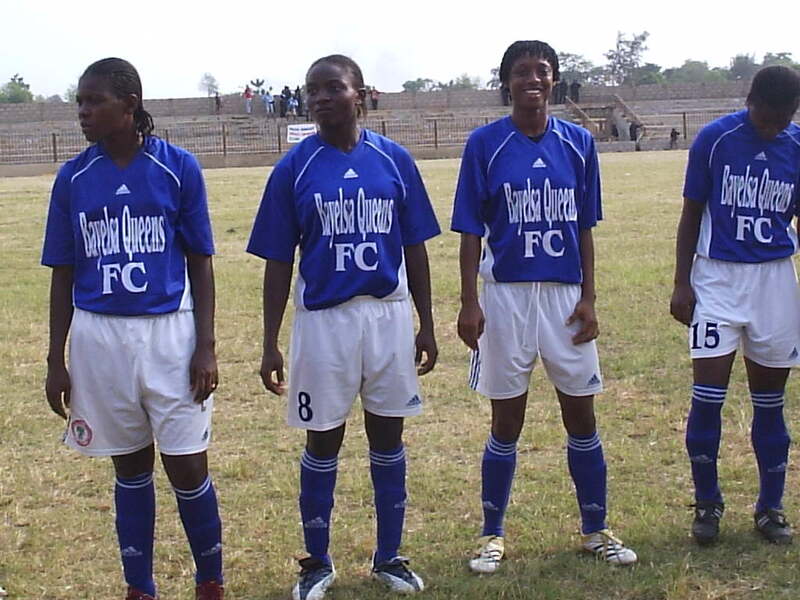 Players of Bayelsa Queens Football Club. The league secretary said that the NWFL board took the decision in view of the limited time available to it and after having waited endlessly for funds to come. “The reason why we have waited till this time is that we were trying to see if we will get funds, but it seems they are not forthcoming. “So, instead of waiting for too long, after having waited this long since July when we finished the league competition, we decided to organise a ceremonial match to decide the league winners. “And it will be between the top club from each of the two groups,” Ajisafe said. He noted that the date for the match had not been decided but that it would be part of the programme of the league’s Annual General Meeting (AGM). “Presently, we cannot give a date for the match because we want it to be part of our AGM programme to mark the end of the 2012/2013 season. “And we do not have a date for our AGM yet, because it has to be after the Annual General Assembly (AGA) of the Nigeria Football Association (NFA). “That is where they (the NFA Congress) will approve the date we will be proposing to them. We will know when the match will hold then,” Ajisafe said. Nasarawa Amazons of Lafia won the league’s Group A with 33 points while Rivers Angels of Port Harcourt finished first in Group B with 37 points. Both teams will now meet in the ceremonial match to decide the 2012/2013 league winners. “Wayne Won’t Be Sold-” Moyes Opens Up in First News Conference as United Boss. Previous articleFormer British Number One Baltacha Quits Tennis.